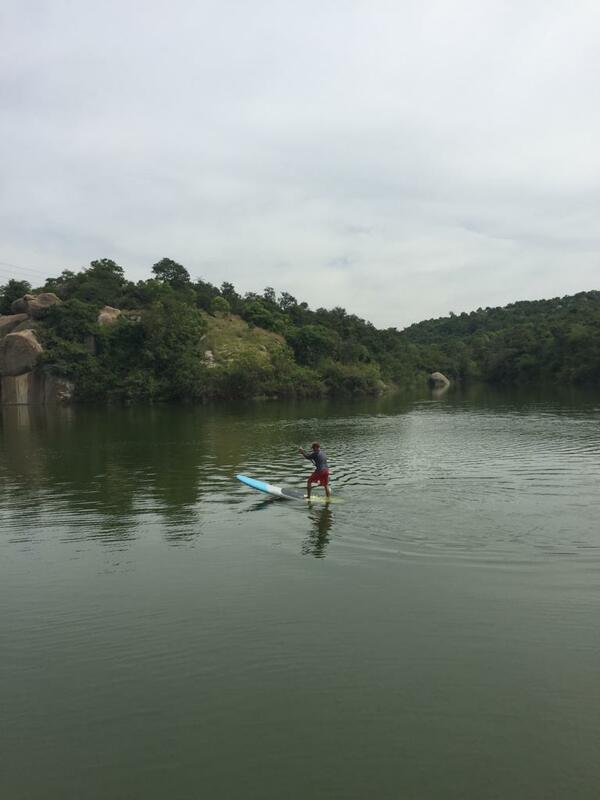 You can also choose to learn or practise Stand Up Paddling instead of kayaking. We will be running both sessions simultaneously. In case you want to choose SUPing over kayaking, please indicate your preference in the registration form. 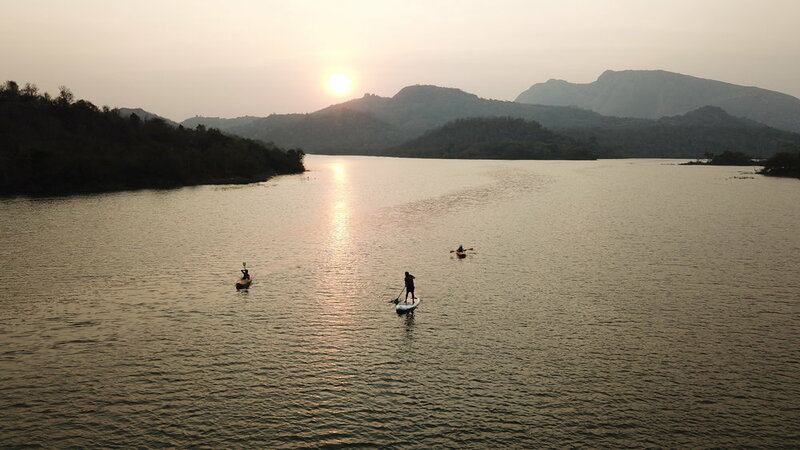 Please note that we do not offer any certifications for Stand Up Paddling but we will teach you the strokes and manuevers as prescribed by the ACA stand-up paddling syllabus for Level 1 & 2. Paddle strokes: forward, backwards, bracing and learning how to maneuver the whitewater kayak. Cost for the session is Rs. 7000 (inclusive of GST). This cost includes the Kayak / SUP + gear rental and the kayak instruction, 2 meals (Dinner and Breakfast), Campsite fees and tents. 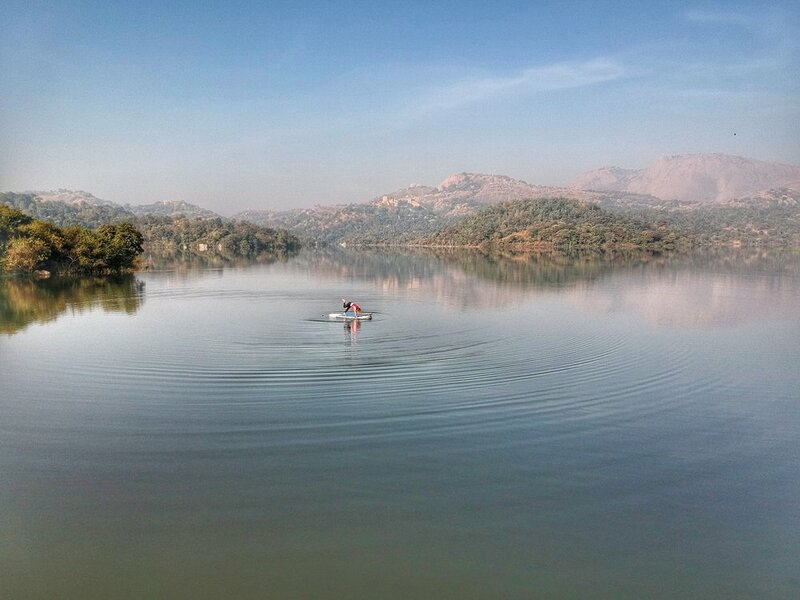 We will leave Bangalore around 12 PM and drive to the campsite which is located about 2 hours from Bangalore. We will reach the campsite at around 2PM and unload the gear. A quick safety briefing will be conducted after which we will get in the water and for kayak session till about 5:30 - 6PM. Pitch tent, start a fire, relax under the starry open sky and contemplate on why you don't do such things more often. Wake up early next morning and get into the water right after breakfast at 8 AM. We will practice till about 11:30 - 12PM after which we will wind up the camp and head back to Bangalore. 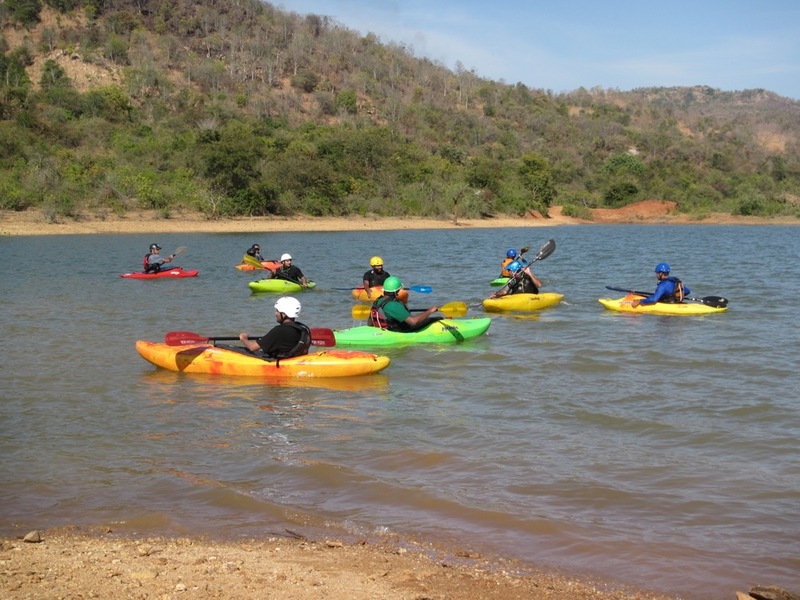 Goodwave Adventures is a wholly owned subsidiary of Madras Fun Tools (www.madrasfuntools.in), India’s only online store dedicated to paddle sports. Up to 10 days before the event you will have 100% refund. From 9 to 5 days before the event you will have 50% refund or a 100% discount on a similar session conducted in 2013. From 4 to 0 days there will be no refund.